Being an client-centric organization, we are engaged in manufacturing a quality range of Rangrej Herbal Facial Kit. We process this offered range using qualitative ingredients sourced from the famed vendors, under hygienic and clean environment conditions. 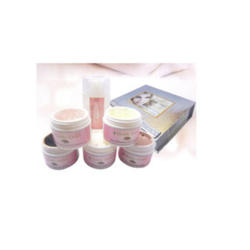 Our offered range of facial kit is available in various size of packs to fulfill the demands of customers.